Spin This: "Almost Saturday Night," "Train of Fools," "Long As I Can See the Light," "Someday Never Comes"
John Fogerty has had a substantial recording career outside the Southern swamp rock establishment of Creedence Clearwater Revival, but the rock legend is forever haunted by those six short years of legendary rock when he turns on the television to hear those timeless tunes advertising the latest pharmaceutical giant or when those songs are being casually stuffed into motion picture soundtracks. It’s something that will haunt him for the rest of his life. But he seems to be overwhelmed with good cheer as he assembles his own set of music-making Avengers for a dreamy once-in-a-lifetime hootenanny. As expected, more than half of the tunes are remakes of CCR’s glory days. Fogerty’s plan is simply to take the “duets” regimen that’s been successfully applied on pros like Tony Bennett and Lionel Richie and to revitalizes them with an updated gloss. His recipe of choice leans a bit more towards country than the rock and blues. “Bad Moon Rising” travels into the Zac Brown Band camp producing surprising results; Alan Jackson jumps into the revered “Have You Ever Seen the Rain” using an abundance of pedal steel guitar effects; Brad Paisley, Miranda Lambert and Kid Rock are also on board, although they opt to sing songs outside the CCR catalog. Fogerty doesn’t mind pairing up with the rock gods as “Fortunate Son” gets a tempo uptick and Dave Grohl yells out the lyrics with Aerosmith rage. Fogerty decides to do the same, although his vocal seems to lean more towards whiny. The My Morning Jacket-fronted “Long As I Can See the Light” is entranced by the sheer gorgeousness of a transcendental Jim James. And when the two finally pair up for the last two minutes, it sounds like they are stretching towards Sunday morning gravitas. Surprisingly, the pairing of Bob Seger and Fogerty on “Who’ll Stop the Rain” sounds like it would automatically be lumped into the Southern rock regimen, but the song is painted with a piano-driven, AC-coated take saturated with Billy Joel-ness. It, along with the Keith Urban-guested “Almost Saturday Night,” an early hit in Fogerty’s solo career, stands out as memorable moments. Two new tracks from Fogerty’s still-wet pen arrive to the table (“Mystic Highway,” “Train of Fools”) and he opts to perform them on his own. 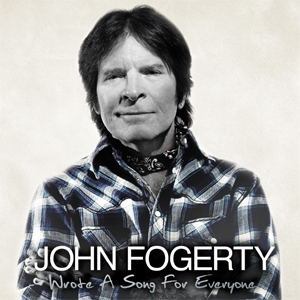 By the time the album bows out with Jennifer Hudson trying on an arrangement of “Proud Mary” that blends both CCR and Ike & Tina Turner’s versions, Fogerty has gone down memory-lane singing half of all of his songs, while the stars and fleet of musicians handle the rest. It’s probably his easiest album to date, but surprisingly pleasing. Some of the revised songs lose some of the soul and grittiness of the originals, which should be expected. The four-track analog feels more organic than the newness that embodies ProTools. A prime example of this dilemma surfaces on “Born on the Bayou,” where the drum beats feel programmed and Kid Rock’s appearance feels forced. Moments like that will cause you to appreciate the originals, and will even have you wishing Fogerty would have carried the album without many of the super friends. Certainly the duets are aimed at introducing younger audiences to a goldmine of music that’s forever been linked to their mom-and-pop records. 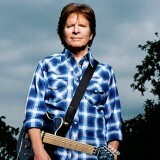 But at the age of 68, Fogerty is still sounding great and he’s still kicking. But without them, the album would have giving off the illusion that he’s tired of hearing the same old song done the same old way.